He’s not really dead. As long as we find a way to remember him. Particularly with our most cherished film franchises, it’s easy to (over) analyze the choices made and the possibilities of our favourite series’ continuing adventures. Should Harrison Ford return for one more Indiana Jones or should Chris Pratt reboot the series? Should George Lucas have invited constructive criticism and handed the directorial reins off for the prequels the way he did on the original trilogy? Should we learn about the Enterprise crew’s academy days or do we need to see Shatner again? All images courtesy of Paramount Pictures, Bad Robot Productions, K/O Paper Products, Skydance Productions. Grace: I try not to remember a lot about my childhood—not for any emotionally crippling reasons, but because I had short hair and John Lennon glasses and small children would ask me if I was a boy or a girl—but there are a few things that stick out to me. A tree in my backyard. A pink-and-blue plastic play kitchen. Reading books by a nightlight long after I was supposed to be asleep. And just a ridiculous amount of Star Trek. My stepfather was a big fan, my mother supported him, and my brother got into it with such enthusiasm that he had doodles of the Enterprise all over his school binders. All of this meant that I, the odd one out—my sister was too young to notice or care what we watched—had to sit through endless hours of Star Trek or spend the evening staring at the walls in my room. Which were white. And boring. So I picked the option that at least had colour. We hit a bit of a snag this week, so while this may not be THE Star Trek review we’d planned to post today, it is at least A Star Trek review. 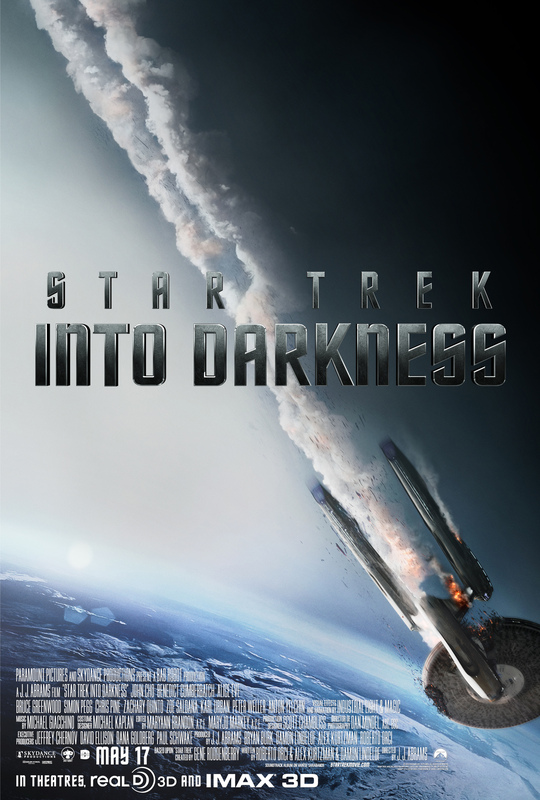 J.J. Abrams’ Star Trek is my second favourite movie of all time and is constantly vying for first place. I say that as somebody who grew up neither a Trekkie nor Trekker, without much thought towards Star Trek vs. Star Wars, and with no real opinion of Kirk or Picard. Unlike generations of fans who grew up on the show and became engineers because of Scotty, cold, logical scientists because of Spock, or fan fiction writers because they’re losers, I watched some Star Trek (but only a bit) simply because it wasn’t usually bad and my dad watched it. But — through The Original Series, The Next Generation, Deep Space Nine, and whatever else followed — I never really liked any of it. Before the summer of 2009, when I thought about Star Trek in general, I mostly thought of cramped, sparsely decorated sets, boring protocol, and older men using strained metaphors, talking about prime directives and like that.